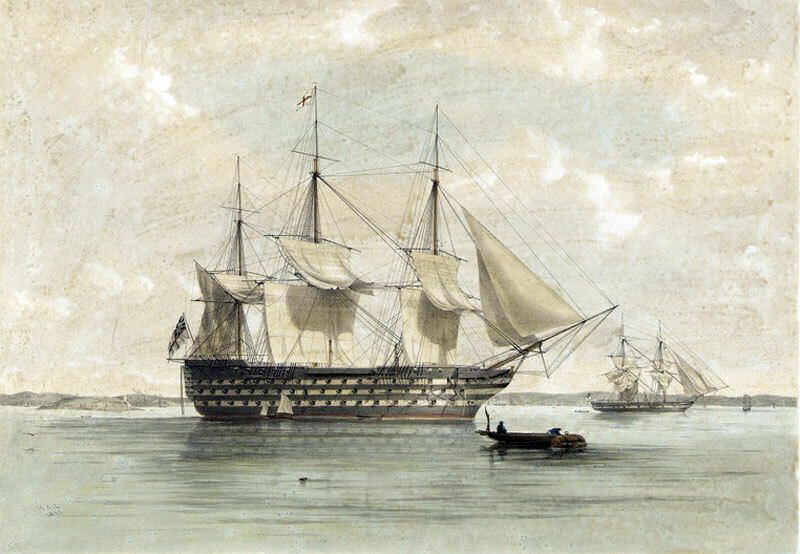 First Rate Ship of the Line Lying in Portsmouth Sound. 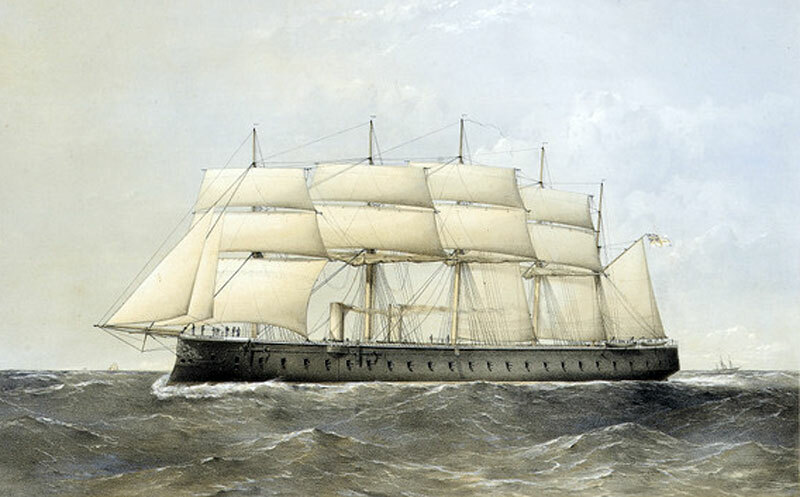 Speed: about 13 knots under sail and 14 knots under steam. 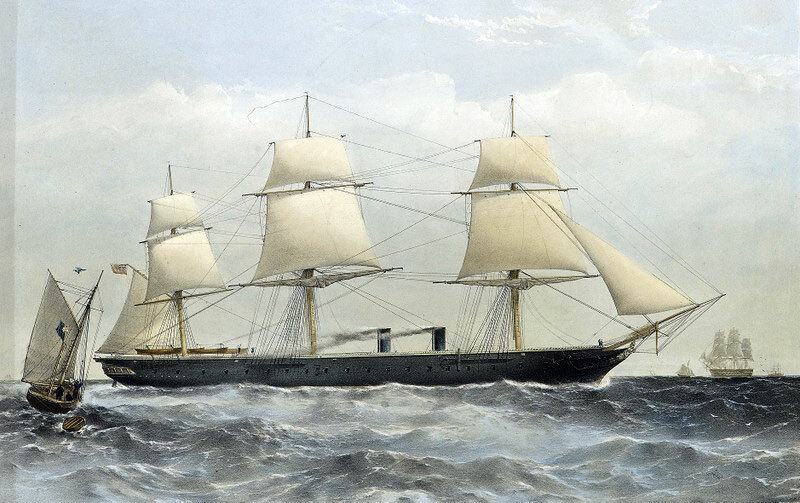 In 1870, capsized and sank in the Bay of Biscay. 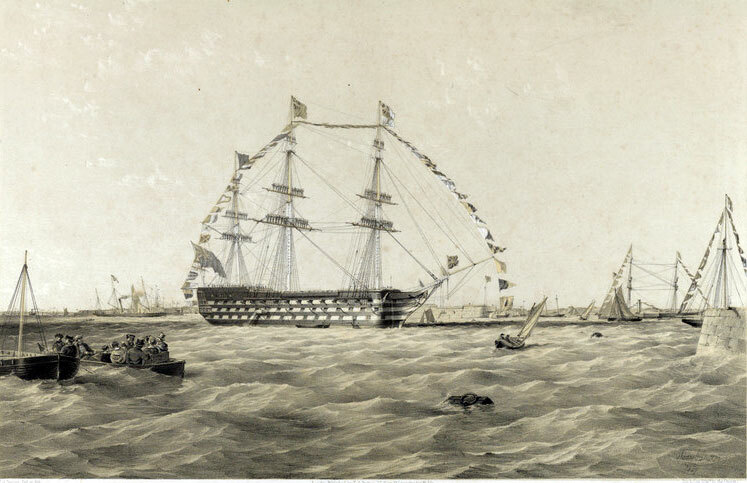 "The Macpherson Collection of Maritime Prints & Drawings"
H.M.S. 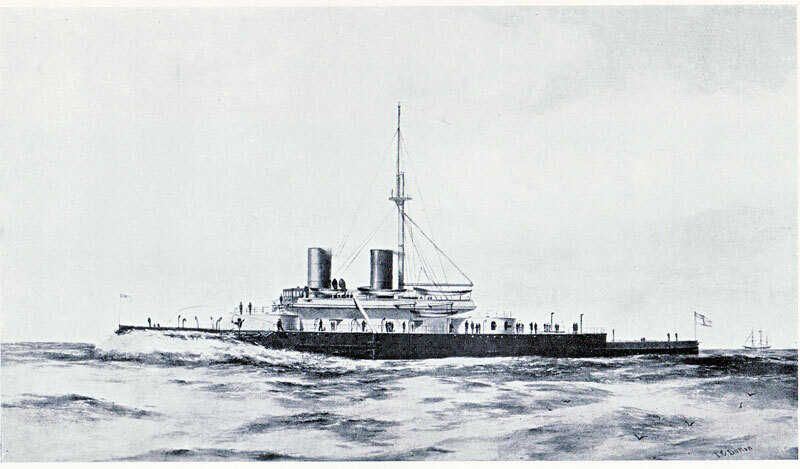 SULTAN, 9290t 1870 - Central Battery Armoured Ship. 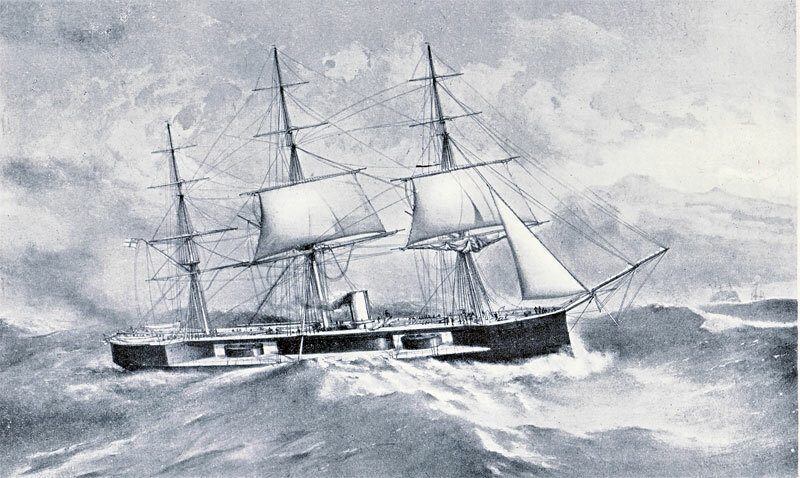 The first mastless turret battleship. 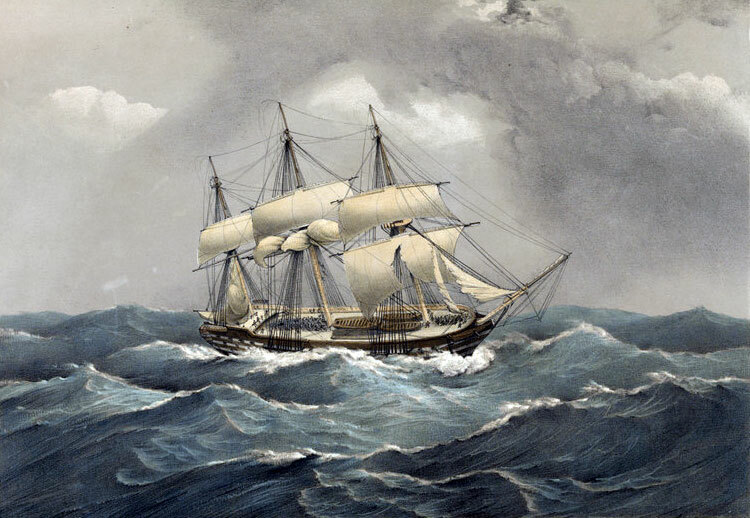 "The Macpherson Collection of Maritime Prints and Drawings"
1. 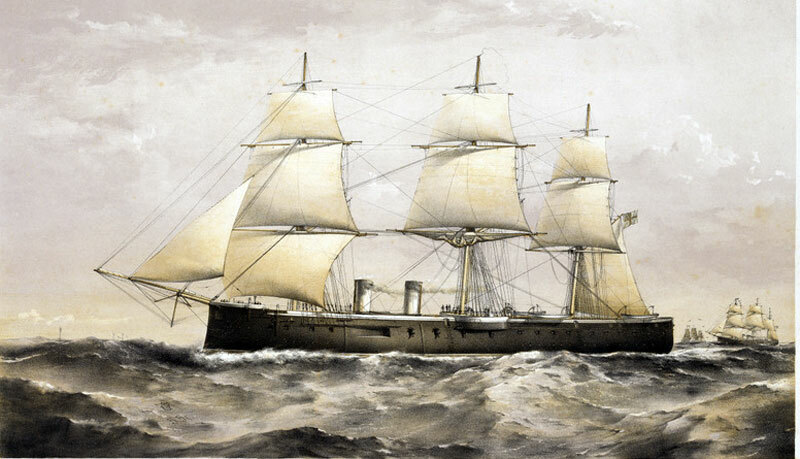 For Sailing Ships: "The Wooden Fighting Ships in the Royal Navy"